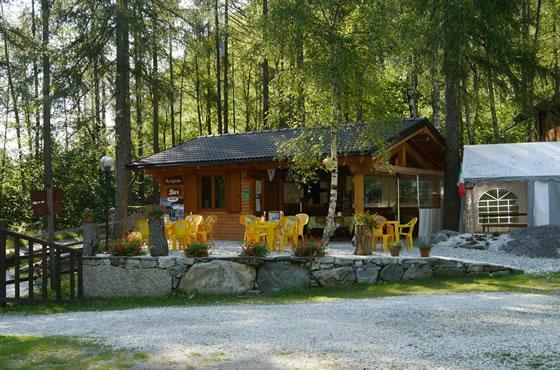 It is located in the countryside, surrounded by the quiet of the woods, close to the village, 500 meters to be precise from the country where you can find Antronapiana: ATM, kiosk, restaurant, convenience store and butcher shop. The campsite is open all year and has 13 pitches on grassy ground for tents and campers, have access to mains electricity, water and septic tank, plus 3 bungalows with an suite bathrooms. The shade is provided by the numerous trees that frame the natural camping.
. agreement with the Restaurant Locanda della Pietra Ollare. 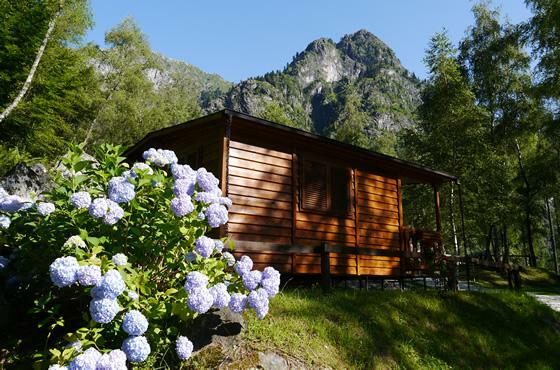 There is so much to see and discover in the surroundings of the campsite, the Valley offers many attractions. You just think that within one kilometer away is one of the most romantic lakes in the area, Lake Antrona, where to dive in its crystal clear waters. A real relaxing bath. Fill out the form to have the availability of the property for your stay at the Birches Campground or to ask questions. We will respond as soon as possible!